Over riders - cut in or cut out? 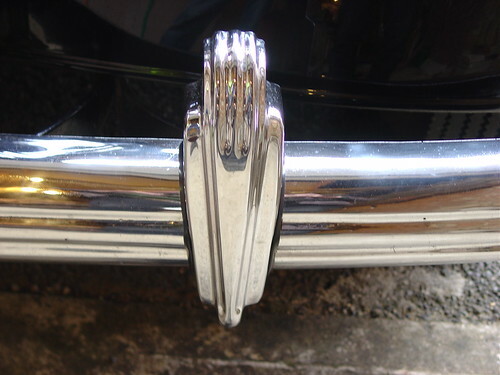 OK guys, got myself a couple of over riders from an Austin A35 and have to decide how to fit them to the PT. Last edited by Arthur; 13 Aug 2011 at 01:02 pm. Re: Over riders - cut in or cut out? Like this - but mine are a lot plainer! 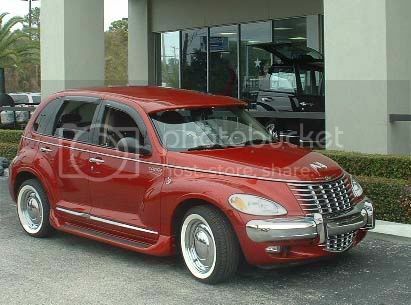 Sorry, but unless you have the right kind of bumper, I don't think the over-rider would look right on the PT Bumper. If you had something like Basett Hound (pic below), that the over-rider would fit right on. There's also a woman in my Tampa Bay club that had them on a chrome bumper that fits her theme to a T.
Last edited by CREWZIN; 13 Aug 2011 at 01:16 pm. Hmm. These are small and rather tasteful I thought... maybe a mock-up before I cut in to anything would be a good idea! Use cardboard and tape - and get a second opinion! Down south of USA we call them bumper guards. I'm sorry, what, speak english. lol jk Honestly i didn't know what you were talking about either. I would call them bumper guards too. Fenders go over your tires/wheels. Bumpers are on the front and rear of the car. Never heard of over riders myself.